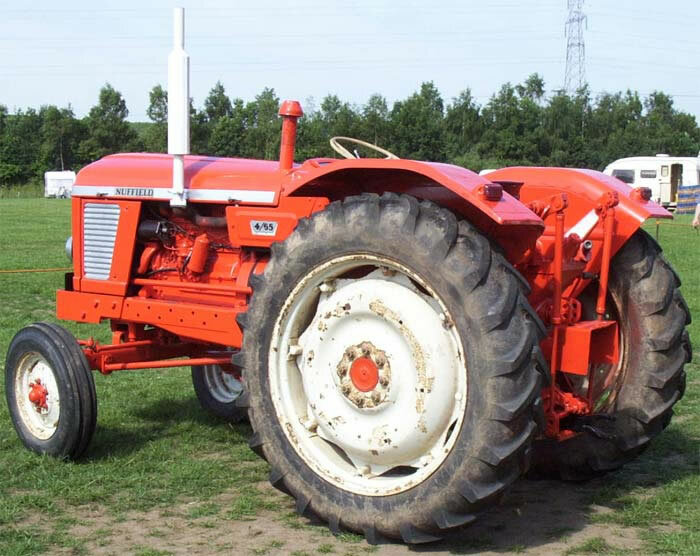 The Nuffield 4/65 Diesel Tractor replaced the 10/60 model in June 1967. Cosmetic changes were the re-styled bonnet, wide-top mudguards and an access panel for easy battery maintenance. Engine power was increased from 60 to 65 horsepower by running the engine at a higher speed. Other improved features were a double-acting top link hydraulic system which used two engine driven pumps, one to supply oil to the lift cylinder and external rams, the other smaller pump was used to operate the draft control system.